Dr. Oz had a segment on his show discussing IV Vitamin Therapy (aka Myer’s Cocktail), an innovative therapy formulated over 50 years ago which we provide in our practice. This therapy provides high dose vitamins, minerals, and nutrients that promote healing and help restore energy and vitality. We use this treatment for a variety of ailments, from immune boosting and the flu/cold, to chronic fatigue, gastrointestinal issues, arthritis, neurological conditions, migraines, detoxification, blood pressure, as well as for antioxidant and anti-aging benefits. There are so many diseases and symptoms that benefit from this therapy. It is like getting a supercharge of vitality! 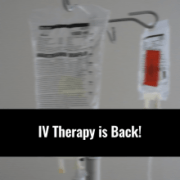 Although Dr. Oz presented a discussion about one particular formula of intravenous nutrients, called the Myer’s Cocktail, there is a great degree of individualization in preparing an IV treatment for a particular patient. In our practice, we put together unique formulations of nutrients and vitamins customized for each patient depending on their unique needs. What makes this therapy so effective is that we are able to deliver very high levels of natural substances, including amino acids, vitamin C, minerals, anti-oxidants, so that these substances can have maximum effectiveness in healing the body and restoring balance. We are very pleased that Dr. Oz brought attention to this wonderful natural therapy. He mentions that so many celebrities are receiving these treatments, people like Madonna, Simon Cowel, Rihanna, etc. However this treatment is available to all people, not just the rich and famous! 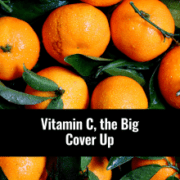 And while this therapy is a wonderful means of maintaining health, it can be the missing link in treating various health conditions that have not responded to other forms of vitamins and natural medicine! It’s a win win! Your immune system is enhanced and your energy levels often times increase immediately after the treatment. The Myers’ Cocktail, a nutritional intravenous vitamin and mineral protocol, the “cocktail” is indicated for chronic fatigue, fibromyalgia, vitamin deficiency, anxiety, stress, depression, migraine or tension headaches, general immune boosting, gut malabsorption, leaky gut and support to cancer patients. It can be useful in situations where oral nutrients or other therapies are not working. When nutrients are given intravenously, your digestive system is bypassed and a much higher level of nutrition can be delivered directly to your cells via the bloodstream. The nutrients work in your body to help balance and support your system. If you tend to be anxious or overstressed, it can help to calm and relax you. If you tend to have fatigue and feel run down, it can help boost your energy. The Myers’ has been used to treat fibromyalgia for over 20 years. There has been excellent clinical success with the protocol to reduce pain and promote detoxification. Yale researchers recently tested Myers’ Cocktail on a group of patients in a double-bind, placebo controlled, randomized trial. The study measured tender points, depression levels and quality of life. Significant improvement was shown in all pertinent outcome measures with the Myers’ group and none with the placebo group. Call 256-325-0955 today to join Dr. Oz and the many other celebrities that are enjoying the benefits of the Myers Cocktail.